SALT LAKE CITY (AP) — A Utah woman listed in the Guinness Book of World Records for her long fingernails has lost them in a car crash. Lee Redmond of Salt Lake City sustained serious but non-life-threatening injuries in the accident Tuesday, the Deseret News reported. 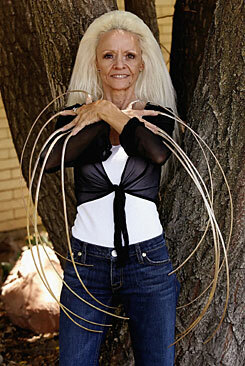 28 feet long in 2008, with the longest nail on her right thumb at 2 feet, 11 inches.